This is a lovely Arts & Crafts tray by the renewed coppersmith Hugh Wallis (1871-1943) who from 1900 had a workshop in Altrincham Cheshire. 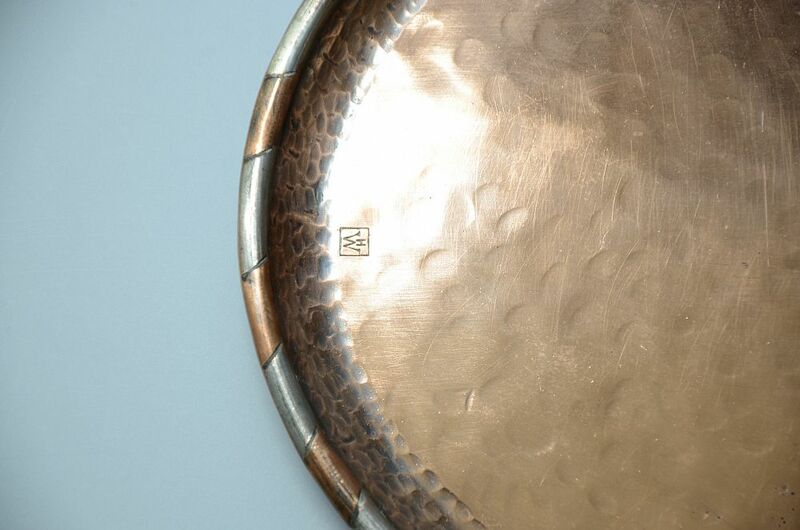 It is oval with a hammered finish in copper and a raised edge of alternating copper and polished pewter inlay. 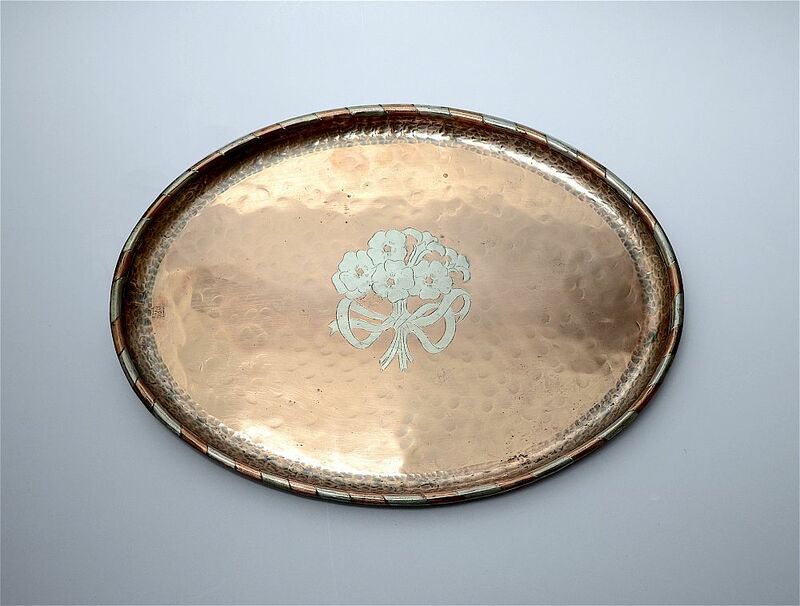 The centre of the tray is inlaid with a bouquet of flowers in polished pewter. Hugh Wallis' monogram "HW" in a square cartouche is impressed into the lefthand side of the tray below the raised rim.